For as long as civil governments have existed, there have been those among the governed who have taken issue with both real and imagined deficiencies in government integrity and accountability. Local governments typically fare no better in such surveys than state or the federal government. The reasons for government’s typically poor showing in integrity and accountability ratings seem self-evident. Elected and appointed government officials charged with and convicted of ethics violations seems commonplace. “Open Government” and “Sunshine” laws often have so many exceptions as to be ineffective. Public documents from Freedom of Information Act (FOIA) requests sometimes take months to receive and, when provided, the documents are often redacted to the point that they serve little constructive purpose. 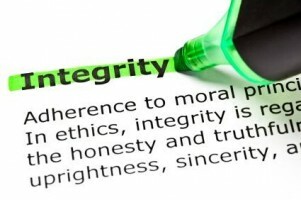 In such an environment, how can the public achieve a greater degree of both integrity and accountability in government? First and foremost, a greater percentage of the public who are eligible to do so should register and then vote intelligently in every election possible. In the United States, the single most effective way for the public to hold elected government –at any level- accountable is to exercise the right to vote. When more people participate in the electoral process, they send political candidates a clear message that they are concerned about who will represent them in government. Despite the fact that it is the electorate’s right and responsibility to do so, removing elected officials through recall elections is far less common than it could or should be. In 2007, in Long Beach, California, an elected School Board member’s absences became so numerous that a majority of his fellow Trustees voted to ask him to resign. He refused. During the same period this person was on active criminal probation for drunken driving and eventually violated the conditions of his probation prompting a judge to issue a bench warrant for his arrest. Despite all of this, when the city’s Chamber of Commerce funded a petition drive to collect the required signatures to hold a recall election, the attempt failed. The Chamber was unable to find enough of the Board Member’s constituents willing to agree to even place the question on a ballot. Voters who would hold their government more accountable must be more willing to remove from office those elected officials who fail them. Voting is not the end of the electorate’s responsibility in this regard. It is only the beginning. Voters, and indeed all people within a jurisdiction, must remain engaged in the work their government is doing on their behalf and demand that those governments remain responsive and accountable. Monitoring government activity is essential. Communicating constructively with one’s elected representatives is equally important. Constituents should write, call or appear personally before their elected officials as often as possible and express their desires and concerns in constructive ways. Beyond this, though, people should offer suggestions for improvement. Government officials are not likely to pay much attention to those who only identify challenges and complain but never suggest workable solutions. If various Open Government and other public-access laws and regulations are not serving a jurisdiction effectively, the public must replace those with other laws and regulations that will. In the United States, government at all levels exists solely through the voluntary consent of the governed. When a sufficient number of people in any given jurisdiction remain fully engaged, participate actively and hold their elected officials fully accountable, those officials literally have no choice but to remain accountable and to conduct themselves with greater degrees of integrity and responsibility. Author: John B. Greet is a retired police sergeant and a graduate student in public administration.